I'm only able to create a new volume on the 2048.00 GB space. I'm expecting to be able to create a volume across the entire space. What did I do wrong? 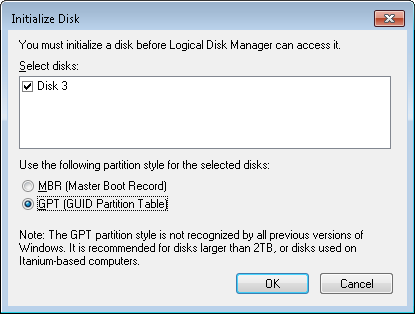 According to this resource, volumes greater than 2 TB need to be created using GPT, rather than MBR. Not the answer you're looking for? Browse other questions tagged raid windows-home-server disk-controller or ask your own question. 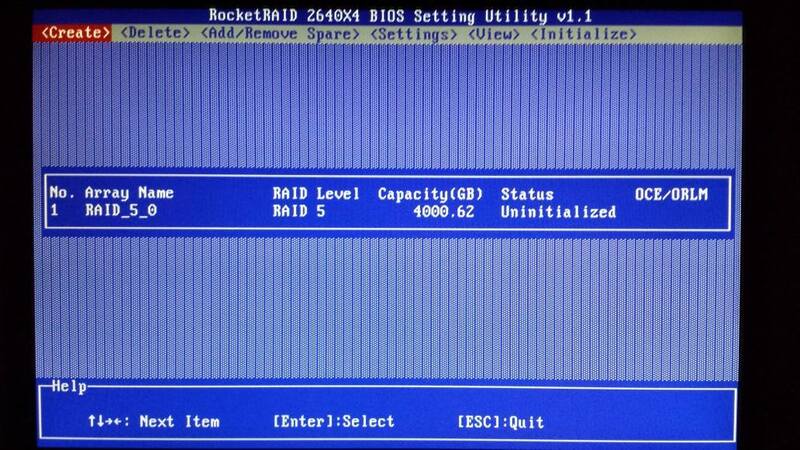 Why is RAID5 disabled in windows 8? 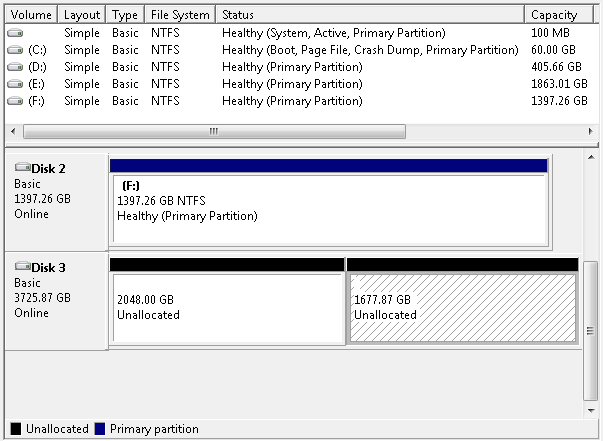 How can I copy my hard disk to a RAID 10 array?